The Enterprise discovers a duplicate of Picard from six hours in the future. First Broadcast: 3rd Apr 1989. Posted in Season 2, TNGTagged Anomaly, Future, Past, Picard, Shuttle, Time Travel, VortexBookmark the permalink. Can I ask why you didn’t like Interstellar? I thought astronomers were supposed to love it, given Kip Thorne’s heavy involvement in the script to ensure scientific plausibility. 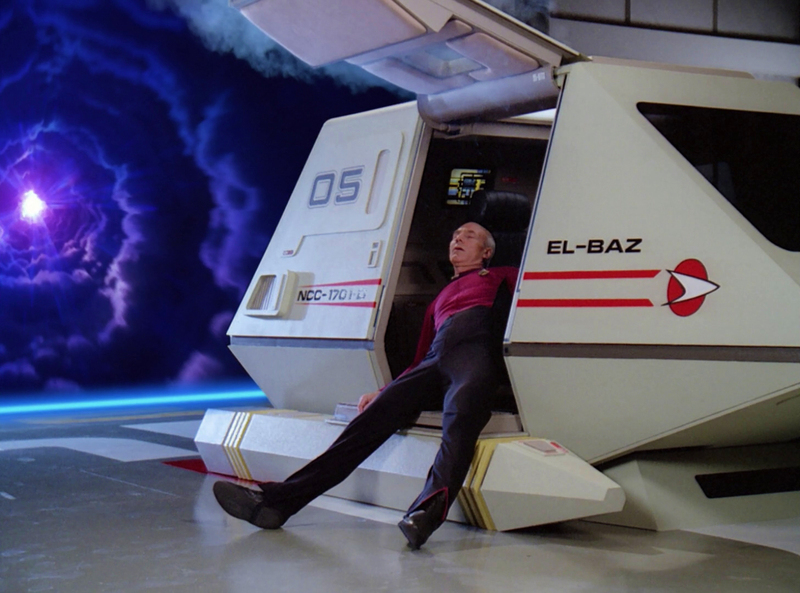 Did you also notice how when the shuttle craft from the future arrived in the shuttle bay that gradually the entire crew of senior officers assembled there – leaving who in charge of the bridge at this troubling time, Wesley?